MORSE - New England Southern Part. MORSE, S.E. - New England Southern Part. New England Southern Part. - MORSE, S.E. Title : New England Southern Part.. 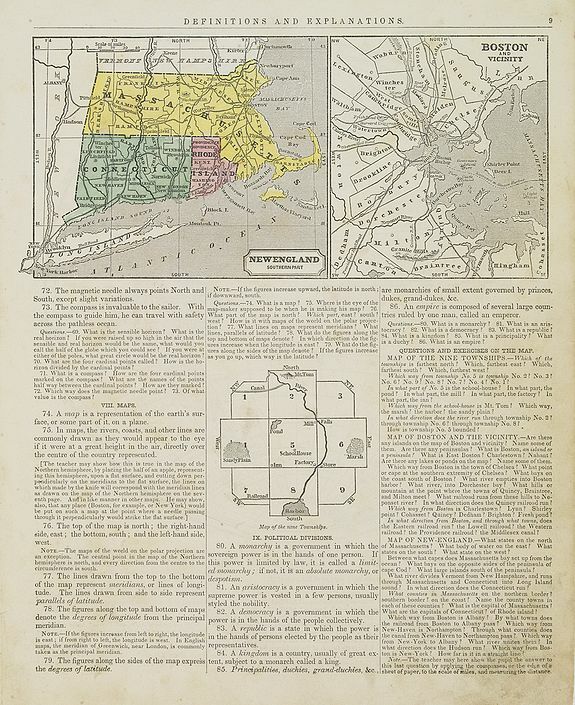 Description :Map of the southern part of New England specifically of Massachusetts, Connecticut and Rhode Island and Boston and its vicinities. On the verso, a world map of North and South America with its northern and southern hemispheres. From Sidney E. Morse''s: System of Geography for the use of schools , published by Harper and brothers, 329 Pearl Street, New York. Condition : Cerographic map and on verso 3 historical wood-cut engravings. Paper slightly age-toned and marginal spotting.